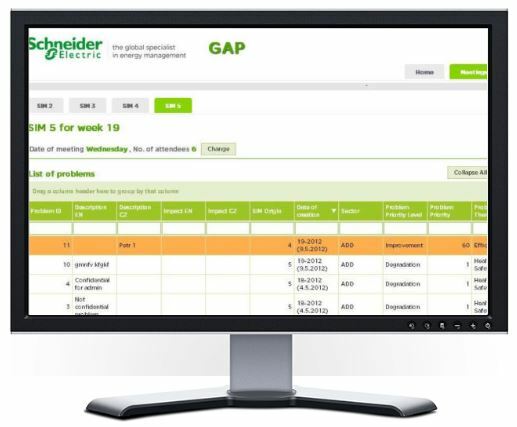 Schneider Electric needed an automated system for SIM – Short Interval Management methodology to eliminate manual incident management from the production line. Incident data were supposed to be archived. We created a web application design similar to a whiteboard (used by the company back then). The user interface was designed to be similar to the manual system, allowing users to easily switch to the new software. An escalation rule and an automatic email notification have also been set up. The time needed to solve and incident is now much shorter and necessary appointments are planned faster. Incident history is easily accessible so that changes and trends can be tracked. The data also helps for the purposes of auditing the production system.